Acquisition History: The Brown Lots WMAs were purchased from the Brown Co. in 1963. Description: The habitat consists of mature upland northern hardwoods including sugar maple, red maple, birch, yellow birch, red spruce, and balsam fir. Abandoned logging roads weave through the properties and several streams and wetlands occur. The Brown Lots WMAs terrain consists of long, moderate slopes. 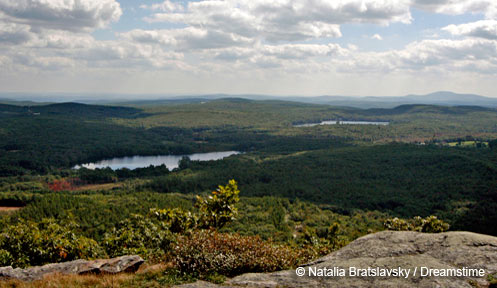 Common Wildlife: These properties have the rugged terrain and long winters typical of the uppermost region of the North Country. You can find moose, snowshoe hare, some deer and ruffed grouse. Special Notes: A snowmobile corridor trail passes through the Brown lots. Directions: The Brown Lots can be accessed from Back Lake Road off of Route 3.